Christ’s incarnation troubles some Christians. It almost always did. Today, as in past centuries, some find it difficult to accept the Incarnation fully. They doubt, perhaps, that God really could or would become man. Perhaps, too, they wonder why on earth the Lord would enter as fully and warmly as the Gospels say he did into the lives of people of all kinds, including those living in situations that fell far short of perfect. Thus it becomes difficult for them to take the Incarnation with complete seriousness. A suspicion wins out in them that a “real” Incarnation would diminish the true God. 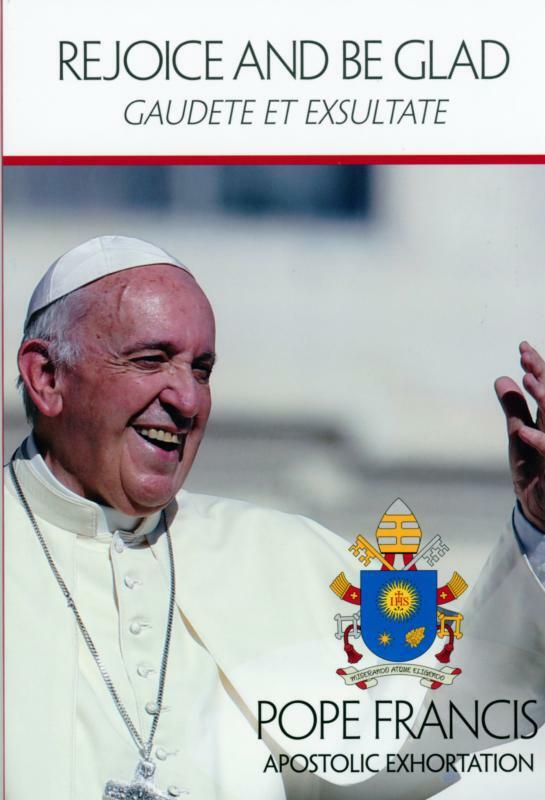 Pope Francis calls attention to these kinds of doubts about the Incarnation in “Rejoice and Be Glad” (“Gaudete et Exsultate”), his spring 2018 apostolic exhortation on the call to holiness. Christ’s incarnation has a way of affirming all that is good about life in this world and casting light on every person’s human dignity. But when the Incarnation is not taken seriously, it becomes hard to understand how holiness could be pursued in the midst of the actual, incarnate lives people lead — in the context, too, of the others they live alongside or encounter in their daily comings and goings. A recurring theme in “Rejoice and Be Glad” insists, however, that paths to holiness await people of faith in precisely these kinds of situations. Pope Francis fears that doors to holiness close when this world’s value is ignored and God is thought to be absent from human lives. In other words, doors to holiness close when the Christian mystery is disembodied. No one can “claim to say where God is not, because God is mysteriously present in the life of every person in a way that he himself chooses,” the pope explains. He says that “even when someone’s life appears completely wrecked, even when we see it devastated by vices and addictions, God is present there” (No. 42). So, “if we let ourselves be guided by the Spirit rather than our own preconceptions, we can and must try to find the Lord in every human life” (No. 42). “Rejoice and Be Glad” examines two currents of thought in Christian history that still are found in “new forms” today. Each one in its own way denigrated Christ’s incarnation and was judged by the church to represent false teaching: gnosticism and Pelagianism. Gnosticism among Christians, a strain of thinking that surfaced down through history in various forms and under various names, locates Christian perfection in knowledge and the mind’s wisdom. The trouble is, says Pope Francis, that gnostics “think of the intellect as separate from the flesh and thus become incapable of touching Christ’s suffering flesh in others, locked up as they are in an encyclopedia of abstractions” (No. 37). For Pelagians, who derived that label from a fourth-century monk named Pelagius, Christian perfection comes largely through human effort. Holiness is viewed as a result of our own work, not God’s work in us. Ultimately, Pope Francis suggests, those with a Pelagian bent place their trust in their own powers and leave little room for God’s grace to work in them. The result can be that in trusting their own powers, these people cannot affirm the concrete, limited human situations where grace works. But Pope Francis thinks “the lack of a heartfelt and prayerful acknowledgment of our limitations prevents grace from working more effectively within us” (No. 50). He cautions that new forms of gnosticism and Pelagianism can weigh down the church and block progress “along the path to holiness” (No. 62). The call to holiness is a call to see “two faces, that of the Father and that of our brother,” Pope Francis observes. Even better is the ability to see just one face, “the face of God reflected in so many other faces” (No. 61). For “God’s very image is found” in “every one of our brothers and sisters, especially the least, the most vulnerable, the defenseless and those in need” (No. 61). Indeed, the pope concludes, “with the scraps of this frail humanity, the Lord will shape his final work of art” (No. 61). The new apostolic exhortation starkly challenges today’s Christians to take the dignity of all human life seriously, viewing it in light of Christ’s incarnation. To illustrate this challenge’s true scope, the pope writes, “If I encounter a person sleeping outdoors on a cold night, I can view him or her as an annoyance, an idler, an obstacle in my path, a troubling sight, a problem for politicians to sort out or even a piece of refuse cluttering a public space. “Or I can respond with faith and charity, and see in this person a human being with a dignity identical to my own, a creature infinitely loved by the Father, an image of God, a brother or sister redeemed by Jesus Christ. The pope then asks, piercingly, “Can holiness somehow be understood apart from this lively recognition of the dignity of each human being?” (No. 98).